Priorat is known for heady, high-alcohol reds from garnacha (grenache), grown on slate soils called “llicorella” in hills near the Mediterranean coast in northeastern Spain. This intriguing example offers attractive perfume of roasted fruits and wild herbs, and a sense of adventure. We scour Spain looking for the best-value examples of wines that beat the competition, so we are always pleased when the critics praise our choices. 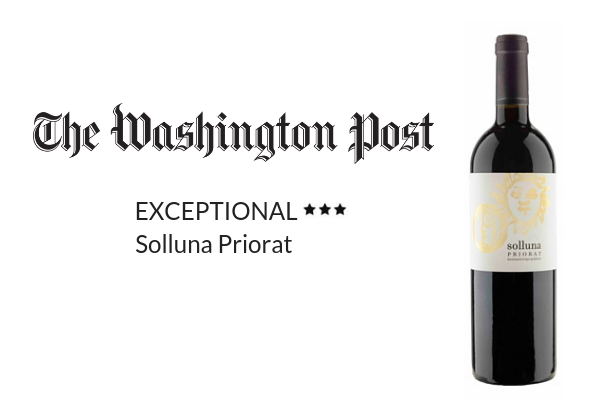 Solluna is a particularly good example of what Priorat does best with attractive, premium packaging that works well in international markets.